Millions of ineligible and invalid registrations pollute American voter rolls, J. Christian Adams writes in a new Heritage Foundation report. This is in part because the 1993 National Voter Registration Act, popularly known as the Motor Voter Act, has been used largely by liberal interests. “For most of the history of the law, enforcement actions have been directed against election officials who sought to clean voter rolls and against states for insufficiently pushing voter registration among entitlement recipients,” Adams writes. Throughout the history of the National Voter Registration Act, liberal interest groups that have regularly opposed election integrity efforts have conducted an aggressive litigation campaign against state and local election officials. States with a large number of Electoral College delegates or where important statewide races occurred have been subjected to lawsuits brought under the NVRA by progressive groups. The NVRA, fully utilized, provides important tools that progressive political interests can use to shape the voter rolls to their advantage. Only recently have a small number of conservative organizations recognized and utilized the potential of the NVRA to combat corrupted voter rolls and the voter fraud that can flourish because of those corrupted rolls. Do you think voter fraud is a major issue? How would you fight it? Voter fraud is a major problem facing America today. I see it as serious as the insecure borders. A complete reauthorization of the voter rolls. While this would take some time, it would put a live person in front of a scribe with a camera taking down current information. Elections at present have computer data available, check to see if current, if not correct. They have registered, good opportunity to check for fraud. As a last resort, put their finger print on the documentation. Insisting on identification is the only way is the only way this problem will be solved. required picture voter ID is a must, even when signing up for vote-by-mail. This requirement does not hurt other countries, most of which haste higher voting percentages. It would be sad to go to a non-voter fine (like Australia) but maybe it needs to be considered. The apathy towards voting in America is deplorable. By the time people wake up it may be too late to reverse our present course. My solution: Photo ID, No early voting, show a valid reason to vote absentee ballot, registration and voting must be done in person. Make people show a valid drivers licence and or valid ID and address. I believe voter fraud is a problem and a valid photo ID should be required and a person should have to show proof of residence in the state in which they vote and six months residence in that state should be required. Ideally a voter should be a property owner and speak English. It is my belief that issuing drivers licences without proof of birth as a U.S. citizen gives to many illegals a way to be placed wrongfully on voter rolls, and there by corrupting the voting process and voter rolls throughout the nation. Of course this is what the leftist have always wanted in remaking of America. There are to many dead people showing up a polls along with people who are registered in more than one state voting in both locations. Voter rolls must be scrutinized and corrected if our nation is to continue Constitutionally – one person – one vote! I think that a photo ID like a drivers licence and proof of US citizenship, or proof of birth in the usa would help. Require registration and voter picture ID in all federal elections. Anyone who wants to vote should be a legal citizen of the USA, have a picture ID with address info and any other legal procedure that can be engaged to make voting more legal of all Americans. Obama’s policies are bringing in illegal folks both south and north borders NONE of these folks should ever be allowed to vote on anything in America and should be returned their home country ASAP. Voter fraud is a huge problem in the U.S. 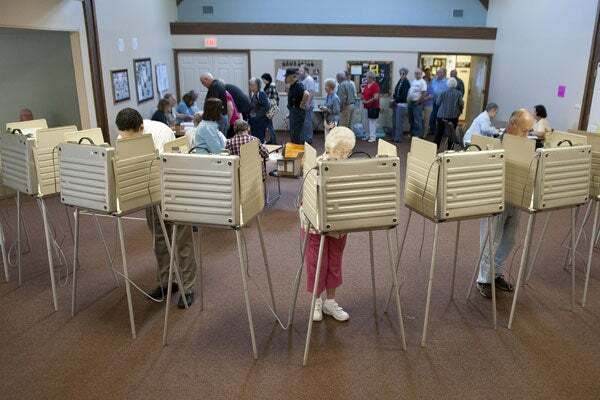 However, it could be almost eliminated if all voters in the nation were required to have a valid ID, and instant checks across county and state boundaries could be developed to investigate for duplicated voting. Instant arresting of violators with a mandatory night in jail would also help to stem the tide of criminal conduct in our voting system. Yes, I think voter fraud is an issue. Wisconsin is enforcing the Voter ID requirement for the 11/4 election and that is one way to stop fraud. We do have laws in this country and if the President doesn’t abide by them how do you expect others to follow them? Every community should be responsible for cleaning up their voter rolls and also voting machines. A secure photo ID equipped with a hidden chip that is ‘swiped’ at the precinct. Then have each voting precincts tied or integrated to a mainframe whereas, when I vote (when my ID card is swiped), my name is flagged to prevent being able to vote multiple times. Also, and equally important, all electronic voting machines need to be checked and SEALED prior to any election. When we voted at the Rugby precinct in 2008, I just ‘happened’ to press the ‘review’ button for the first time in my voting life. Well, 2 of the Conservative candidates I had selected did not receive our votes. I returned to the voting screen; corrected the “error”, then reviewed again. Behold, the liberal candidate was showing my vote again! On the third correction I think it stuck. Voting machines are nothing more than a programmed piece of equipment. We need Voter ID is all the States like Wisconsin just passed. Illegal voting in a few key districts can change an entire election. Besides, who wants people voting that have zero idea about the issues but are “dragged” to the polls thru Motor Voter………..
Voter ID is a must for everyone!!!!! All voters should be required to have PHOTO ID! “Motor Voter” is fraught with opportunities to cheat and manipulate votes. ABOLISH IT! Voter Registration needs to be discontinued 1 week before an election. Current situation allows fraud! Where vote-by-mail is allowed, get more poll-watchers to ensure that a proper signature check is made between the signed ballot and the secrecy envelope. What a stupid survey!! I get a banner stating I am posting my comment “too quickly” but there are no time instructions stated! Typical Washington bull! I do not have time to screw around with you anymore! States are the ones who get to decide how they choose their Presidential electors. A few states have chosen to elect them by district rather than winner take all. A large city or two in a state can swing the whole state and fraud can be focused there in a winner take all election. If the votes for electors are distributed one for each Federal house district the fraud would have to be perpetrated outside of big cities as well and would take more work to organize. Voter fraud is a MAJOR issue. I don’t know why it has not been seriously addressed before this. The only thing that I can think of for dealing with it is to create software (if not already) to flag and eject the names from the voter lists that do not qualify…. Photo ID presented should be the minimum requirement to vote. Also a national data base to prevent voting by the same person in different jurisdictions or states. Anything you do today you must present a valid ID. How do people get food stamps or welfare? Don’t they need some form of ID? It is ridiculous for the liberals to say that asking for an ID is keeping their constituents from voting. Voter ID is the best way to protect the integrity of our election system. Its protecting the voter from identity theft of their vote not voter intimidation as the liberals suggest. Its common sense and I believe anyone who can’t see that or won’t see this is in favor of voter fraud and doesn’t care about the voters rights to cast a ballot free from identity theft! Proper voter registration and cross Identification at the time of casting your ballot is the only way to ensure honesty and integrity of our election system. Today the system is rampant with fraud and many illigal votes. Voter I. D. is the solution. Stop Media Exit Polls. Exit Polls have become the results. Results should not be released until midnight Hawaii time. Media Ratings should not be the way election results are determined. We all know who runs the media and it is biased. One county in Ohio should not determine the president. It’s crazy when I hear that we help other countries run their elections. We’re the ones that need to be overseen. I know there has to be fraud in our electoral system. Bio identification. For instance their could be a one time sign up of all current voters who must show their ID, proof of Residence and proof of citizenship. Once that is done, a nationwide database is set up so that voting can occur anywhere there are computers set up for the purpose of voting. There could be a fingerprint or retinal scan at the site. This would allow people who are citizens i.e. military servicemen overseas to vote instantly and have their vote counted. Voters should also have the ability to follow up and ensure that their vote was submitted correctly so there are no unauthorized changes made to votes. Anytime a citizen’s status changes that affects their voting rights, it is the duty of the official dealing with that change to submit the change (i.e. death of a voter) to the elections office in their state. Citizens are responsible to report items such as name changes, moves, etc. and they must update using their bio identification to verify. Obviously this is a simplified plan of a more complex solution, but this is the basic idea. I think voter fraud is a serious problem. The true the vote organization is blocked from their effort to audit voter rolls by self serving progressives. A state ID is a rational and necessary requirement to permit voting and undercut fraud. As federal interference in this effort is an unconstitutional action to interfere with a states obligation to have integrity in the voting rolls. My solution is enact the FAIR TAX and begin to provide individual freedom and start to dismantle overbearing and unaccountable bureaucracies (IRS and 16TH amendment). As a Precinct Chair(311) in Harris County, Texas, I witnessed obvious voter fraud being committed in a precinct that had a 104% turn out while turning in there ballots at near 1:00 am. No one was prosecuted?!! Cheating an election is the most heinous form of treason against the people and the constitution. Vigorous prosecution for election fraud and once proven try them for treason due to the fact they to “The Oath” and exact maximum punishment at the lowest taxpayer cost, for these vermin should receive no leniency at all. 2008 and 2012 elections for the president were believed to be stolen by fraud in Pennsylvania and Ohio. ACORN was a big factor and was exposed in fraud multiply times in their “get out the vote efforts.” Hillary was blind sided in the Demoncrat primaries in the post election day caucus voting handing the nomination to the Obamanation. We better start enforcing the laws vigorously or we are done. Voter fraud is an abomination and must be stopped. Each fraudulent vote steels a legal vote from you and me. Voter rolls must be cleaned up and efforts from liberal groups to stop voter roll verification should be pointed out in the news for what they are: an effort to steel legal votes from valid voters. Proper voter ID at the polls is a must as well. If you need proper ID to cash a check or to drive, what’s wrong with requiring ID to vote! Four years(1,460 days) ,is sufficient time to plan on being at polls. Two years,(730), days is sufficient time to plan on being at polls ! Why is there a need to be early or late? Show up w/ I.D.! per voter ! ! ! We have to have ID for everything else. I definitely think we should have to present a Photo ID and proof of citizenship before being allowed to vote! Yes, I think there is way too much fraud and corruption (vote buying) in this country. Voter IDs would help stem the problem, but there should also be more restrictions on politicians’ influence on voters at election time-such as a “time out” for outreach/personal campigning right before elections (2 weeks to a month). I went to the Comcast Office here in my state recently to replace my cable box. Comcast required a photo ID from me before they would give me the box! Judging from the make up of the customers in the local Comcast Center, ie paying their bills manually, I was shocked that they were not up in arms about having to provide a Photo ID. If Comcast can ask for ID, then we sure as heck better be asking for one when someone is doing something as important as voting! We need to know if you are a citizen and if you are registered in order for you to be allowed to vote locally, in state or federal elections. I want the voter roles purged of dead and illegal voters. In New Mexico, illegals are allowed to get drivers’ licenses; I haven’t seen them, but I would hope they are different than those for U.S. Citizens. With that condition, I think each and every one of U.S. Citizens should provide a picture id indicating US citizenship or a valid drivers’ license containing picture id. We are required to provide picture id to cash checks, etc. — why not to vote? Voter rolls need to be cleaned up and verified for accuracy. True the Vote is trying to get some semblance of fraud protection in the voting system. As long as there are no ID requirements, rampant voter fraud will take place. Now that Holder will be out of the picture, lets hope something can be done, but with this criminal in the White House I don’t hold out much hope for now. Only legal citizens shold be eligible to vote. Use common sense. On many occasions citizens are required to present an I.D. (driver’s license with picture, etc.) for verification. This should be a standard procedure each time a person votes. Reasons given to thwart this approach are spurious. If Democrats who attended their national convention had to provide a photo ID, every true American should provide one before entering the voting booth. Since 9-11 we have been required to show picture ID and physical address not a P.O. Box in order to vote. There is rampant voter fraud going on. Dead people vote. Pets of people vote. People are voting more than once at different locations. People are voting who are not citizens. The fraud is to the advantage of the left–which undermines laws to prevent fraud. People who undermine voter ID laws lack integrity. Our Constitution works when citizens have integrity. Citizens who boo God (as in the last Democratic Convention) do not fear Him and will do whatever it takes to get their own way. IMHO, we need a national movement to return to living God’s way to regain the integrity needed to honor our Constitution and greatly reduce voter fraud. New federal law all voters shall have approved I D Card with up to date picture and data. Require positive photo IDs to register and to vote. Voting must be restricted to the voter’s home precinct and a log must be signed proving that one and only one vote was cast. Return to paper ballots eliminating any manipulation of electronic machines even though results must be manually counted and therefore slower. Require by law that all ballot boxes be under multi-party supervision from the time polls open until the boxes are opened and counted immediately after polls close. Boxes must be labeled,sealed and removed to secure locations immediately after counted and no late or “missing” boxes will be included in any count. Early or absentee voting must be subject to the same restrictions. Rescind the 1993 Motor Voter Act – I knew then that voter fraud would be prevalent. I lived in California then and La Raza etc. in Orange Country took full advantage of MotorVoter to register hundreds of illegals – and look what has happened to California. All States must be allowed their State Right to police their voter rolls. Back to the rule: If you don’t vote in the Presidential election, you are purged from the lists. PLEASE do all you can for we Americans, to do away with voter fraud. I think a photo ID should be required to vote in all states. I know this wouldn’t fly anymore but people that own property and pay taxes should have their vote counted at a higher percentage then the takers in the country. I’m retired and tired of pulling the wagon for all these free loaders. PERSONAL PHOTO ID — WITHOUT A DOUBT. WE HAVE TO SHOW ID FOR LIQUOR, CIGARETTE, ETC. PURCHASES — WHAT’S THE BIG PROBLEM WITH SHOWING IT TO VOTE?? I DON’T UNDERSTAND ALL THE UPROAR AGAINST IT. I agree with cleaning up the voting rolls. clear out the deceased after a short waiting period. It will be difficult, but all Motor Voter laws must be abolished and a different method employed to register voters. Mail is not reliable. Registration on line may be a consideration, providing PROOF OF CITIZENSHIP AND ELIGIBILITY are a part of the process. NO INELIGIBLE PERSON SHOULD VOTE IN US ELECTIONS! This includes non-citizens, dead people and incarcerated felons. There should be NO exceptions. Any attempts to limit voter participation, especially considering there are no actual documented cases of voter fraud, revel one party’s attempt to disenfranchise voters. The Republicans are the new Nazi Party, they use things like Voter ID laws to limit the # of people voting, in hopes of clinging to their racist, white America. It is a major concern if no validation is required to determine whether or not the motorist is a United States citizen. Non US citizens should not be allowed to vote in US elections. So far, I have not been able to come up with how or even if voters are being vetted. Are they being cross matched with any other database? I think photo voter ID registration cards should be used even though certain groups still think that is a ‘racist’ method. If everyone has to have one , how can it be racist? And when will those %@# people get themselves educated concerning these systems instead of being ‘led” by special interests? It doesn’t take a colleg degree to figure it out! Whatever we can do to keep them liberal colored people from voting is fine with me. Go Trump! Yeehaw! NVRA forms in CA at county benefits offices make it so ballot’s origin can be traced by barcode and this violates the concept of secret ballots. I received a ballot by mail and voted, then someone unregistered me and my Bernie Sanders vote did not count. I have proof. NVRA voter preference declination forms are how I. believe California was stolen for Hillary during our Primary. We need proof of citizenship during voter registration, and valid photo ID at the polls. Anyone opposed to that must be in favor of ineligible voters participating in our elections. This argument against motor-voter is pure bs and clear evidence of the insincerity of voter-fraud zealots who are either so blinded by xenophobia, bigotry they can’t think straight or are actively working to conceal their racist and undemocratic efforts to suppress the voting rights of minorities and political opponents. If you want all voters to have photo ID, usually a valid drivers’ license or DMV issued non-driver ID, it makes no sense to oppose registering citizen voters when they get their DMV IDs. Fraud here is BS, states require proof of citizen or visa status for licencing, the lists are checked by computer with election boards. I was automatically purged from Florida rolls (after living abroad for some years) when I got a Illinois driver license. DMVs are everywhere, and getting one bureacuracy to do two things is financially sound. It eases access for poor and elderly to voter ID while helping them get the IDs you demand to better prevent the nearly non-existent (and statistically irrelevant) chance of voter fraud. If you demand more voter ID and are against motor-voter your a hypocrite, or worse. If you listen to the Heritage foundation, a once reputable but now fact-challenged conservative think-tank you’re a sucker. Try the Cato Institute instead. And if you’re afraid of creeping government and big brother limiting your rights and were once a conservative against national ID cards, ask yourself if you’re really conservative or just a populist reactionary or a democracy-fearing bigot gaslit by self-interested autocrats, plutocrats, self-dealing politicians, racist demagogues and millionare radio and TV charlatans. Motor-voter is the best practical democratic compromise between two american factions who disagree fundamentally on how to protect our sacred right to vote.